Ten years ago, the Euro-Mediterranean Heads of States and Government launched the Union for the Mediterranean (UfM) in Paris, building on the Barcelona Process and bringing together 43 countries in a partnership built on co-ownership by all the participants with a view to addressing the common challenges facing the Euro-Mediterranean region, such as economic and social development; degradation of the environment, including climate change; energy; migration; terrorism and extremism; as well as promoting dialogue between cultures. 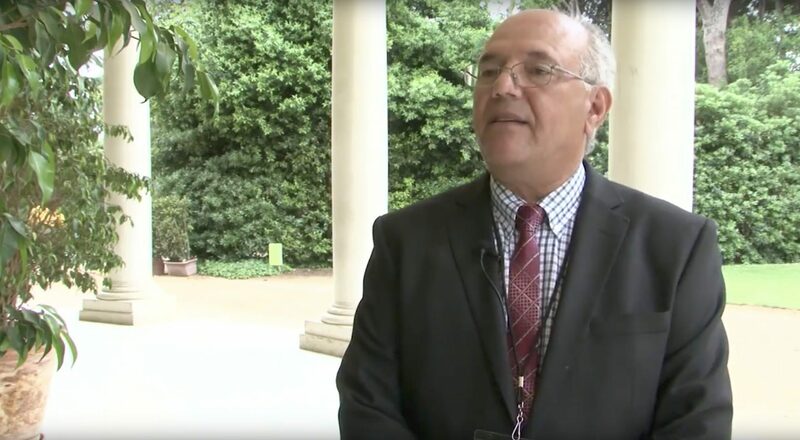 “Over these ten years, the Union for the Mediterranean has navigated high waters and has managed to consolidate its institutional capacity and to show that it is capable of contributing to the landscape of regional cooperation and integration”, said the UfM Secretary General, Nasser Kamel. “We have a solid base to capitalize on, as we further expand the spectrum of our activities, create new synergies and partnerships and consolidate our role as a platform of regional dialogue. With the ongoing support of the Co-Presidency and the Member States, new milestones are within reach”. Coinciding with the tenth anniversary of the launch of the UfM, the Regional Forum of the Union for the Mediterranean, the annual meeting of the Ministers of Foreign Affairs of the UfM Member States, took place on 8 October 2018 in Barcelona. Plastic Busters MPAs monitors and diagnoses the impact of plastic waste on biodiversity in marine protected areas. It also defines, tests and implements prevention and mitigation actions. These actions include fishing for litter through campaigns with the fishermen, removal and collection of derelict fishing and recreational gear and establishing recycling mechanisms. Some demonstration activities and awareness campaigns will also be organised. Moreover, the project aims to develop a Regional Plan on Marine Litter Management in the Mediterranean including recommendations for policymaking. Plastic Busters MPAs, “preserving biodiversity from plastics in Mediterranean Marine Protected Areas”, is a project promoted by the University of Siena and ISPRA and funded by the EU Interreg Med Programme. It was labelled in 2016 by the 43 Member States of the Union for the Mediterranean as a priority regional initiative to prevent, reduce and remove marine litter from the Mediterranean Sea. 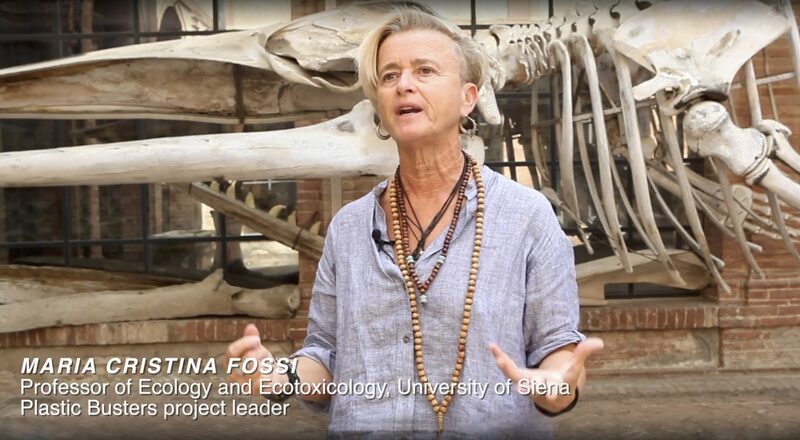 Cristina Fossi is Professor of Ecology and Ecotoxicology at the University of Siena and is in charge with the project “Plastic Busters MPAs: preserving biodiversity from plastics in Mediterranean Marine Protected Areas”. Marine litter represents a serious threat to the marine and coastal environments of the Mediterranean, 80% of which, is made of plastic and micro-plastics. Studies indicate that by 2050 there could be more plastic than fish in the seas. The creation of the Mediterranean Youth Climate Network came at a crucial time for climate action and inscribed itself in the Road Map of the UfM for a more sustainable development. The Mediterranean region is characterized by a unique, rich, yet fragile biodiversity. Coming as a direct result of increased CO2 emissions, the region has been identified as one of the main climate change hotspots, passing on to youth the burden of facing the long-term consequences of continuous climate transformations. As a response to these challenges, 7 youth-led climate associations coming from both shores of the Mediterranean decided to unite youth climate communities of the region. As a very young association, the Network has stabilized its legal and organizational statuses, held two General Assemblies, while working towards the creation of synergies between young people, giving them the chance to meet each other and supporting local initiatives. Looking ahead, the MYCN will actively participate in the organization of the COP24 Opening Ceremony and will co-organize the third edition of the Light Us Relay initiative. In the long run, the network aims to become the Mediterranean reference platform for youth-led initiatives through a mapping and gathering of youth-led projects as well as the creation of a Youth Climate Fund. 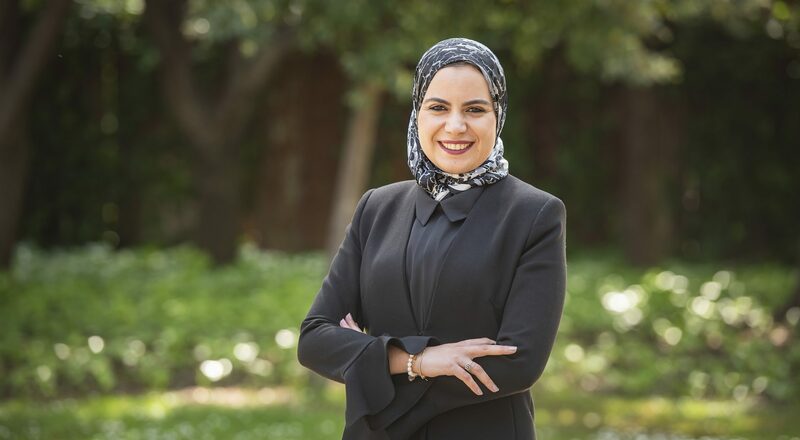 Hajar Khamlichi is the President of the MYCN. Hajar is an environmental engineer specialized in water and sustainable development; she has been working as an industrial waste water and environmental manager at the Tangier’s utilities company, and she believes in the possibility to create value while concretizing the SDGs. In parallel, she also co-founded one of the seven founding associations of the MYCN. As an active member of civil society, she is also a board member of the Observatory of the Protection of the Environment and the Historical monuments and actively participates to the Youth Advisory council of the Tangier-Tetouan-Alhoceima Regional Council. The Mediterranean region has been identified as one of the main climate change hotspots due to water scarcity, concentration of economic activities in coastal areas, and reliance on climate-sensitive agriculture. In the Mediterranean, the average temperature has already risen by 1.5ºC compared to pre-industrial levels, which was the recommended limit set by the Paris Agreement in 2015. The desalination plant, the first UfM-labelled project, will supply drinking water to 2 million Palestinian inhabitants, thereby ensuring a sustainable solution for the chronic and longstanding water shortage in the Gaza Strip, where over 95% of the water is not drinkable due to the over-pumping of a polluting Coastal Aquifer. On 20 March 2018, international donors pledged €456 million to the project (more than 80% of the total cost), which will make possible to start the biggest ever infrastructure project in the Gaza Strip. The Project is promoted by the Government of Palestine. The partners are the European Commission (EC), the European Investment Bank (EIB), the islamic Development Bank (IDB) and the World Bank (WB). Mazen Ghunaim is Minister of Water of Palestine. 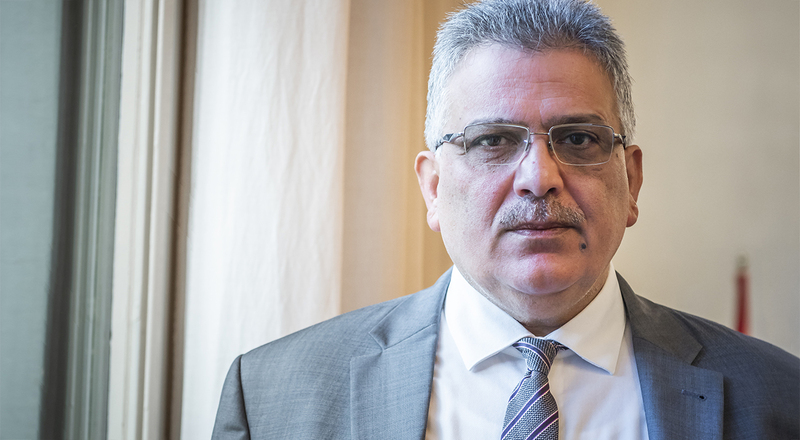 He is also member of the Arab Council of Ministers and leads the negotiations committee on the permanent status of water with Israel. Over 95% of the water is not drinkable in the Gaza strip. The “Women of the Mediterranean: the next generation of leaders (WOMED)” project, organizes trainings to empower Mediterranean women. WOMED promotes the empowerment and leadership capacities of women in the region through training, advisory and networking activities. 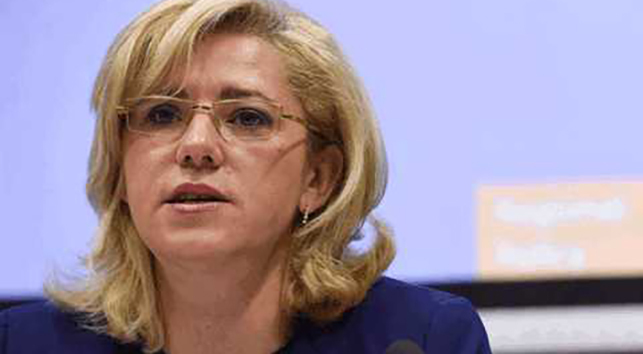 It also seeks to develop a Euro-Mediterranean network for the promotion of gender equality. 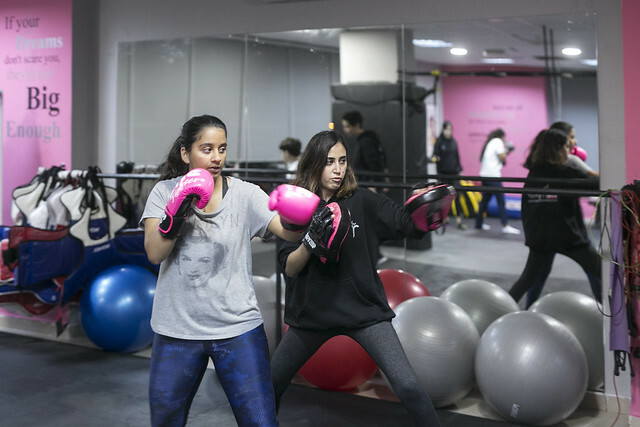 A former student of the WOMED project, Lina Khalifeh, a Jordanian who has a black belt in Taekwondo, founded SheFighter in 2010, the first self-defense studio of its kind in the Middle East. She was eager to have an impact on a million women in the Middle-East and up until now, 12 000 women have benefited from her formation. Over the past several years, she has received many distinctions like the First Award of the international competition for “Women in Business” from the United Nations. GDP per capita in the Euro-Mediterranean Region can increase in 25% by promoting women’s economic empowerment. Initiatives to tackle the root causes of social marginalization and violent extremism are flourishing all around the Mediterranean. NGOs play a big part in this process and many of them turn to education as a tool to shape lasting change. Through a bottom-up approach involving all forms of state and non-state actors, the project runs national diagnostic studies in order to establish the basis for the design of new pedagogical materials specific to each country. These materials are then analyzed and validated by all stakeholders involved, from civil society to national authorities. In 2017, teacher trainings were conducted in Tunisian and Moroccan pilot schools, based on the newly designed textbooks. As a direct result, Citizenship clubs opened in three Tunisian schools and implement the theoretical guidelines and practical activities outlined in the “Forming Responsible Citizens” project. Today, the project is reinforced with new partners and expanding. The success and lessons learnt from the Tunisian clubs led to the inauguration of three Moroccan clubs in December 2017, while national diagnostics have started in Jordan and Lebanon. Ideaborn, a spanish-based organization, launched in 2015 the UfM-labelled project “Forming Responsible Citizens”, which aims at empowering secondary education teachers with tools to enhance the knowledge and practice of rights, duties and responsibilities of their students. By doing so, it promotes dialogue as alternative to violence and respect to the difference of gender, religions and thoughts. Amara Ben Romdhane is the director of the Societal Development & Empowerment Center of Tunisia (SDEC). The SDEC is a partner NGO of the “Forming Responsible Citizens” project, and is in charge of overseeing and coordinating the implementation of the project in Tunisia. The project benefitted to more than 1000 students and teachers and involved more than 100 education and civil society entities. The HOMERe (High Opportunity for Mediterranean Executive Recruitment) project promotes internship mobility between Mediterranean countries, and is predominantly aimed at high-profile students in their last year of study before graduation. The objective is to ease their transition from the academic environment to qualified entry-level roles in their own country – in a region where youth unemployment often increases with the level of education. Despite their solid academic backgrounds, graduates often do not have the soft skills that potential employers are looking for, such as teamwork, problem-solving, leadership, etc. HOMERe uses internship mobility as a tool to combat the skills gap that has been identified as one of the region’s main obstacles when it comes to hiring young people. Through its extended network of high-level academic institutions on both sides of the Mediterranean (engineering and management schools as well as universities), HOMERe aims to attract transnational private companies that operate in the Mediterranean region and are searching for brilliant colleagues. By far the most innovative aspect of the project is that participating companies must consider employment opportunities in the intern’s country of origin after the successful completion of the internship (local branch, subsidiary, provider, etc.). Nine Euro-Mediterranean countries are currently involved in the project: Algeria, Egypt, France, Greece, Italy, Lebanon, Spain, Morocco and Tunisia. 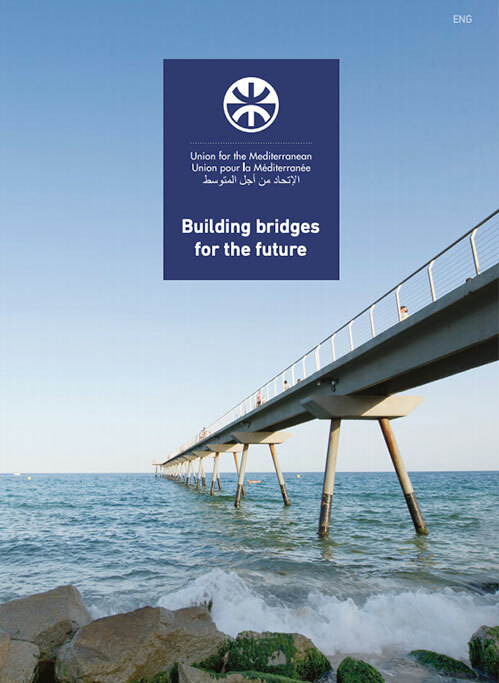 HOMERe is promoted by the Mediterranean Network of Engineering and Management Schools (Réseau Méditerranéen des Ecoles d’Ingénieurs, RMEI), a network of 95 universities delivering master’s degrees in 16 Mediterranean countries. Sara El Khal is an informatics engineer who participated to the HOMERe internship mobility program, before finding a job in her domain. With an average of about 30% youth unemployment, the region has one of the highest youth unemployment rates in the world. El Llindar is a founder partner of the Asociación Española de Escuelas de Segunda Oportunidad, Spanish member of the UfM-labelled Mediterranean New Chance (MedNC) project. MedNC addresses the challenge of socio-professional integration of young people and, particularly, of those youngsters who are not in Education, Employment, or Training (NEETs) by mobilizing and strengthening cooperation among stakeholders from both rims of the Mediterranean, including second chance schools. The project, framed within the Mediterranean Initiative for Jobs (Med4Jobs) and coordinated by the Institut Européen de Coopération et de Développement (IECD), is currently being implemented in Algeria, Egypt, France, Lebanon, Morocco, Portugal, Spain and Tunisia through capacity building activities and the exchange of innovative education experiences and best practices among partners. Begoña Gasch founded the school El Llindar in Barcelona 15 years ago to help students who have left the school system. Since then, she and her school have helped 3000 students to become more employable by giving them another chance to obtain a qualification, improve their quality of life and integrate in society. At 21, Ismail El’Ouabi left his country, Morocco, to come to work in Spain. With no qualification, he joined El Llindar to do a speed course on mechanics and get a degree to be able to work. Six months after his arrival, he started working at a vehicle repair shop. Lebanese participants in the UfM Skills for Success Program on graduation day. 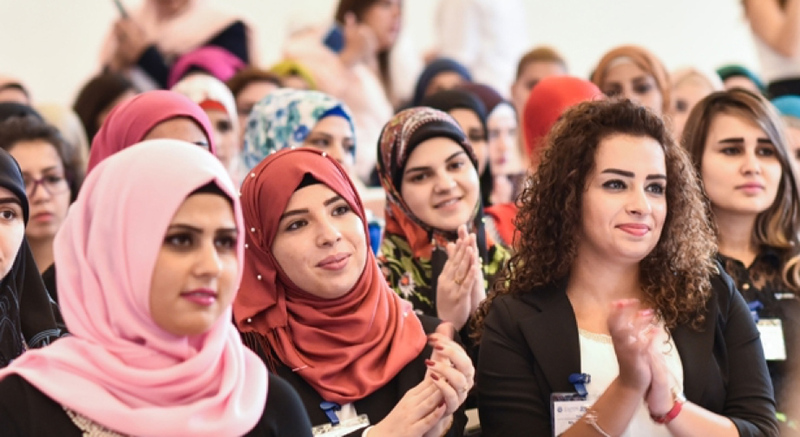 To date, nearly 300 women in Jordan, Lebanon, and Morocco have completed the Skills for Success program. Many have since found jobs, started internships, considered starting a business, or returned to school. A surprising outcome, in fact, is that over 40 percent of the graduates across three countries have decided to continue their studies, at university or elsewhere, because of the new-found confidence and determination that they gained in the program. 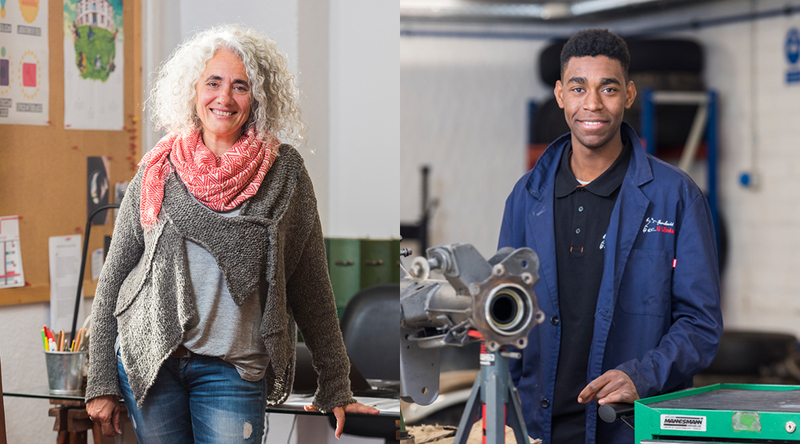 While development of transferrable skills is its primary objective, the Skills for Success program goes far beyond training in the English language, IT, and job readiness skills that prepare participants to access entry-level jobs. It also takes into account obstacles such as family and cultural bias and limited awareness of women’s rights in the workplace, as well as the different realities of the young women, from an interrupted education to inexperience in the labor market and limited access to information and technology. Fatima Al Annan is one of 99 Lebanese women who completed the program. She learned about the Skills for Success project at a job fair at the Lebanese University. As a 25-year-old biology student, she recounts that “many people asked me: ‘what are you gaining with it? '” But Al Annan did believe that the effort was worth it. “The teachers told us we could do anything. That we had to be positive. 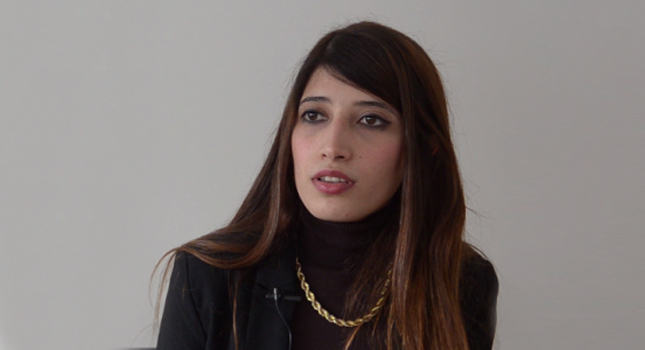 ” Fatima was offered two jobs after the program, and now works in Public Administration. Skills for Success – Employability Skills for Women is promoted by AMIDEAST, a non-profit organisation engaged in international education, training and development activities in the Middle East and North Africa. The current activities are co-funded by the Flemish Department of Foreign Affair, the Norwegian Ministry of Foreign Affairs, PepsiCO and the AMIDEAST Lebanese Advisory Board. With one of the fastest urbanisation rates worldwide, the Mediterranean region’s urban population is expected to increase by an additional 22.5 million by 2030 due to persistent rural-urban migrations and endogenous urban growth. Mediterranean cities are also experiencing high vulnerability to the effects of climate change such as water scarcity, droughts, forest fires and heat waves. Sustainable urban development therefore plays a central role in addressing this transition while fostering job creation, inclusive growth and rising living standards. To this end the UfM is promoting an action-oriented urban agenda in the region and has launched within this framework the “Imbaba Urban Upgrading Project”, which aims to positively impact over 2 million people living in one of the most populated urban areas in the Giza Governorate in Egypt. For many years, the development of Imbaba has been informal and spontaneous. Its current structures are overloaded due to a rapid population growth. This UfM-labelled project will upgrade urban facilities while providing new job opportunities, revenue-creating activities and public spaces. Currently 60% of the Mediterranean’s population is living in urban areas. Nearly 80% of the Mediterranean countries’ populations will be concentrated on 10% of the land – predominantly the coastline- by 2030. The UfM Energy Platforms are the first three dialogue fora in the Mediterranean region dedicated to enhance energy cooperation and synergies in the region as well as to exchange best practices in key fields such as the integration of electricity markets, the promotion of renewable energies and energy efficiency, and the gas. These platforms bring together government representatives, regulators, operators, regional organisations and other important partners in order to achieve a sustainable energy transition in the Mediterranean. The region faces today common energy and climate challenges such as a growing energy demand – indeed, a 98% increase in energy demand is estimated in Southern Mediterranean countries by 2040 -, lack of adequate electricity infrastructures, growing expectations among citizens for a more secure, clean, low carbon, and affordable energy supply. The UfM Energy Platforms seek to promote a reinforced cooperation in order to transform these challenges into concrete opportunities. 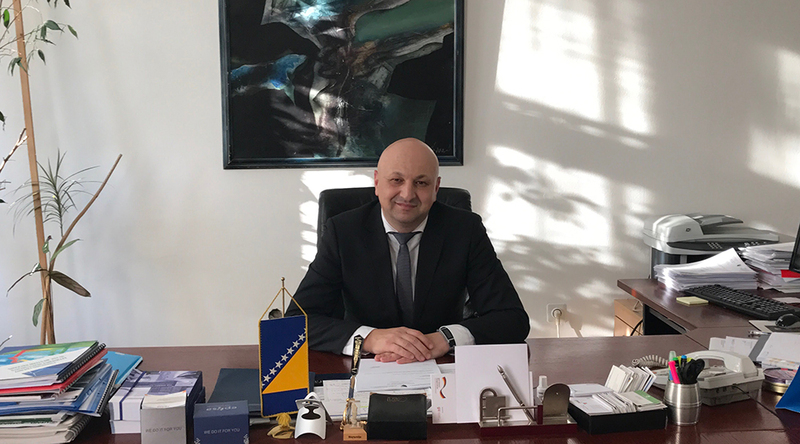 Dr. Admir Softic is Assistant Minister for Energy at the Ministry of Foreign Trade and Economic Relations of Bosnia and Herzegovina. He is also the focal point of Bosnia at the International Renewable Energy Agency (IRENA) and the Vice Chair of the Committee on Sustainable Energy of UNECE. He has participated actively since the beginning in the UfM regional dialogue on energy issues and in the launch of the Energy Platforms.